Yang Cheng-fu (1883 – 1936) was the grandson of the founder of Yang family tai chi, Yang Lu-chan (1799 – 1872). Douglas Wile (1983, T’ai-chi Touchstones: Yang Family Secret Transmissions) relates how Yang Lu-chan, drawn by the reputation of the martial art of the Chen clan in Honan province, went there to learn their art. ​Wile notes that he returned later an accomplished soft style boxer, and gained national acclaim teaching his art at the Manchu Court. Wile says of Yang Lu-chan ‘Whatever the case, it seems safe to say that a man from humble origins, through a combination of genius and circumstance, lifted T’ai-chi ch’uan from a courtyard in the provinces to a place of prominence in the nation’s capital, and trained his three sons to be worthy successors’. 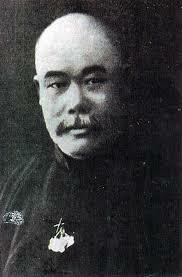 One of Yang Lu-chan’s sons, Yang Chien-hou (1839 – 1917), was the father of Yang Cheng-fu. ​The Yang family adapted tai chi to a world which had developed fire arms, by emphasising it’s health benefits and personal self defence, rather than its use in a military context. Under Yang Cheng-fu’s influence, the Yang style of tai chi chuan became the dominant internal martial arts system in China (Wile, 1983, Translator’s introduction).